Imagine this: You wake up, prep your morning coffee, glance out the kitchen window to admire your well kept lawn—and bam! It’s all gone. Where there was once a beautiful stretch of green grass there is now an ugly patch of brown. Unfortunately, if you’re facing fall armyworms this nightmare can quickly become a reality. It’s not unheard of for armyworms to devour an entire lawn overnight. One moment your lawn and garden are intact, the next you’re left with a backyard full of dirt. Especially problematic in the South, Fall armyworms are the larvae of a small brown moth that lays its eggs in grass, crops and other greenery. Once hatched, these small green caterpillars begin feeding on nearby plant life, and can devastate an entire lawn or field of crops in days, sometimes hours depending on the size of the armyworm population. Unfortunately for your yard, these populations can get out of hand fast, as female months can lay up to 2,000 eggs in a single night. Once matured, these caterpillars change appearance, going from green to brown with white lines running along the side of their bodies. Because several damaging species go by the popular name armyworm, if you spot caterpillars in your yard, regardless of appearance, you need to act fast to preserve the health of your yard. For whatever reason, armyworms tend to avoid moist lawns with shorter grass. Keeping your lawn a little shorter throughout fall, and watering soon after each mowing session, can help prevent an armyworm population from flourishing in your yard. These tiny wasps have a long history of use in natural pest control because they attack the eggs of many damaging bugs, armyworm eggs included. Trichogramma wasps can be found at many local garden supply shops and countless online retailers. This approach works best in the early stages of an armyworm issue, as this method will address armyworm eggs only, not recently hatched or mature caterpillars. Green lacewings, minute pirate bugs, ladybugs and other beneficial egg-feeding insects are also effective. If your yard has never been the victim of armyworms, chances are natural predators like birds are to thank. Which means If you’re currently struggling with armyworms, you can alleviate the situation by inviting these predators back into your lawn. Bird feeders and bird baths are the most obvious choices and tend to work wonders. This natural approach can be a real time saver and is usually quite effective, given that birds target both the armyworm moth and the subsequent caterpillars. 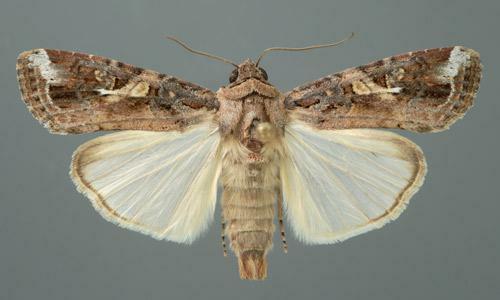 Naturally sourced outdoor pesticides—like those made with all natural cedarwood oil—can be effective at both preventing and killing active armyworm populations, without using the harsh chemicals associated with traditional pesticide use. Apply at the first sign of trouble, whether that be armyworm moths, eggs, or immature caterpillars. This bacterium is a popular and eco-friendly way of naturally ridding your lawn of armyworms. Typically applied to yards as a spray, bacillus thuringiensis works by paralyzing the armyworm digestive system, eventually killing them via starvation. Best of all, this bacterium is not harmful to beneficial insects, humans, pets or other wildlife. This method works best when used in the early stages of an armyworm problem, when the caterpillars are small, green and immature. Bacillus thuringiensis can be purchased from local gardening stores and countless vendors online. As one of the most well known biological pesticides, beneficial nematodes work to combat dozens of unwanted pests. After applied to the yard, these near microscopic roundworms parasitize armyworms and armyworm eggs without affecting humans, plants or beneficial insects.